Magic Leap One’s Lightwear headset lets in natural light waves together with digital lightfields to create unbelievably believable experiences. Advanced sensors enable digital objects to interact with your physical surroundings as if they are really there, making the digital, magical. Meshing technology creates digital replicas of your physical surroundings so your objects stay wherever you want them to, just like real life. Epic processing power from the integrated GPU and CPU generates hyper-real graphics for hyper-real experiences – all squeezed into a portable Lightpack that clips in your pocket. New worlds won’t just look real, they’ll sound real. Soundfield audio relays distance and intensity with lifelike accuracy so you won’t need to turn around to know how quickly a T-Rex is gaining on you. Integrating voice, gestures, head pose and eye-tracking, we’ve developed the only spatial computing system inspired by human physiology, making the unreal seem perfectly real. Magic Kit is a powerful, ever-evolving toolkit containing sample code, tech write-ups and design diaries to help you fast-track your training in spatial computing, create high-quality mixed-reality interactions and navigate your way through the Magicverse. And it’s just the beginning. The Magic Leap Creator Portal is your one-stop shop for tutorial videos, source code samples and design best practices. 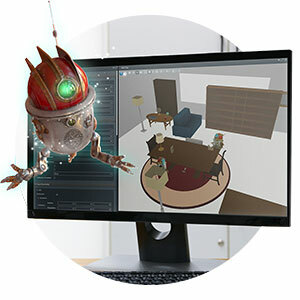 Access forums and technical guidance from the Magic Leap community to help realize your vision. 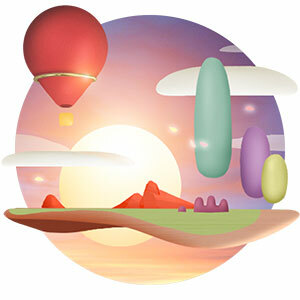 Magic Leap World will be a marketplace full of next-gen apps designed and developed for Magic Leap One Creator Edition. Head-pose tracking, ray-casting, meshing, plane detection – Lumin SDK has all the tools you need to create an authentic digital replica of your physical environment. The Unity Editor lets you check your progress on the fly via Magic Leap’s Lightwear headset without deploying to the device. 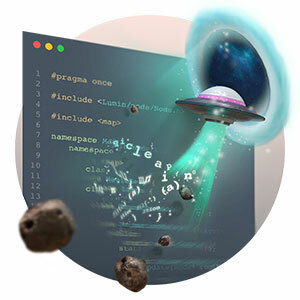 The Simulator also comes packed with Lumin SDK’s main features. A cluttered dorm, a zen garden, maybe even a lounge full of cats – use the Virtual Room Generator or the randomizer to create and explore your very own virtual room. Before embarking on your quest, let's get you set up. The Magic Leap Technical Preview is built against Unity 2018.1. 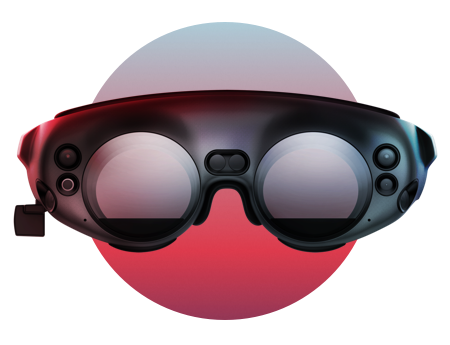 In addition to 2018.1 features, the Technical Preview includes a new build target for Magic Leap.